Since starting this blog, I've become more involved with the discussions of "snubs" that follow any year's Oscar nominations. It's fun to proclaim how our favorites were robbed and talk about the idiocy of the Academy. Even so, my enthusiasm for deriding the selections has waned. When thousands of voters are determining the choices, deciding who really was cheated is impossible. Therefore, I'm sticking with a positive approach for this latest Top 5 List. The choices often aren't my favorite performances or movies; in some cases, I haven't even seen them. It's interesting to note the trends signified by a nomination. It's easy to dismiss the Oscars as self-indulgent silliness, but they still make an impact for artists' futures. Checking out these surprises is more exciting than the actual awards and makes them a rewarding annual tradition. My excitement is muted because it's the only nod for my favorite movie of 2012. Even so, I wasn't that surprised to see Moonrise Kingdom kept out of the Best Picture race. Although the competition is fierce for Original Screenplay, I think Anderson and Coppola have a great chance to take home the prize. The reaction has been really positive, even from those who aren't fans of Anderson's work. I'm hoping that this nomination will drive even more people to seek out this charming movie. It is currently available on DVD and definitely worth checking out if you missed the theatrical run last summer. I'm unsure if I liked The Master, but this is one of the pivotal movies of 2012. 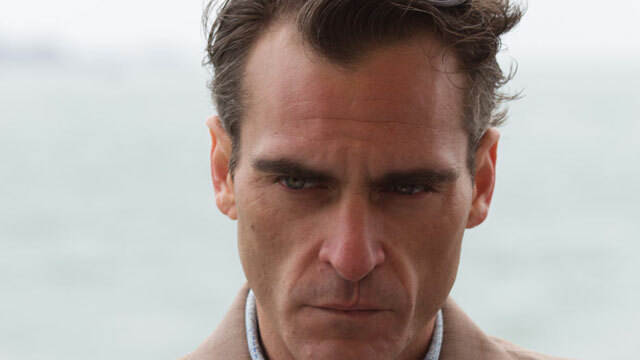 The most difficult character to crack is Joaquin Phoenix's Freddie Quell. He uses facial twitches and an odd vocal delivery to deliver an original character. The difficulty is that he's unlikable and totally unhinged, which makes it off-putting to watch. Even so, Phoenix totally deserves the recognition from the Academy. The conventional wisdom did not include him in this category because of the divisive film and his disdain for awards. These obstacles make his nomination a great surprise in a movie filled with excellent performances. Daniel Day-Lewis feels certain to win, but that's secondary to seeing recognition for a very memorable role. Since I haven't seen Michael Haneke's latest film, this might seem like an odd choice. 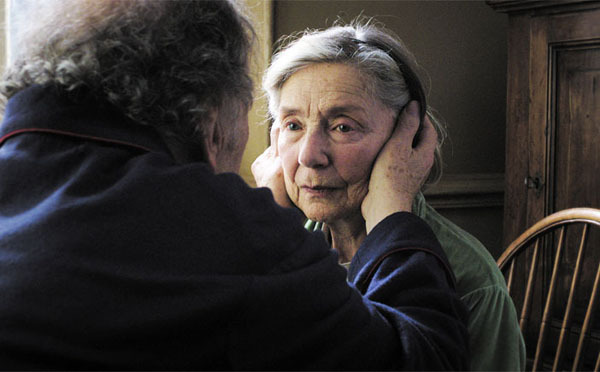 However, Amour's appearance in the Best Picture nominees says a lot about this year's Oscars. Since the move beyond five choices in 2009, there have been more interesting options in the category. However, critically acclaimed small movies are still overlooked, particularly from other countries. The Directing and Lead Actress nominations just add to the surprise. It seems likely to win Best Foreign Film, but the placement in such prominent categories is sure to give it a major boost. Will this signify a trend that continues into the future? It's hard to say, but I'm more optimistic than I was after last year. When you think of the Bond franchise, the first thing that comes to mind isn't the amazing cinematography. Roger Deakins doesn't seem like the obvious choice, but his background with Sam Mendes was the key factor. This is his 10th nomination in this category, and Deakins is long past due. Skyfall includes beautiful images that lift the story to another level. The pursuit and fight in the Shanghai skyscraper is gorgeous, and there are plenty of similar examples. Its omission from the Best Picture race didn't surprise me, so it was refreshing to see this recognition. His primary competition is Janusz Kamiński for Lincoln, but the Academy might want to give Deakins a career award. I finally caught up with Benh Zeitlin's debut feature last month on DVD, and there's plenty to like within the low-budget production. One of the main reasons it works is the exciting lead performance from Quvenzhané Wallis as Hushpuppy. Her nomination was a surprise considering her young age, and the nod for Zeitlin's directing was an even bigger shock. While there are occasions where the Oscars have recognized smaller films, they usually still have budgets of several million dollars. This low-budget Louisiana production doesn't feel like the type of movie that wins Academy Awards. The voters are getting younger on the whole, and these selections over industry veterans give concrete evidence of that shift. I'm hoping this trend will continue and expand much further in the next few years. I think you point out the two most exciting trends with the awards: inclusion of more diverse films. 1 being the inclusion of foreign films, which are often overlooked. Hopefully, if this trend continues, which is aided by the Best Picture structure as you mention, more people will seek out the treasures of world cinema. 2 being the inclusion of smaller films. 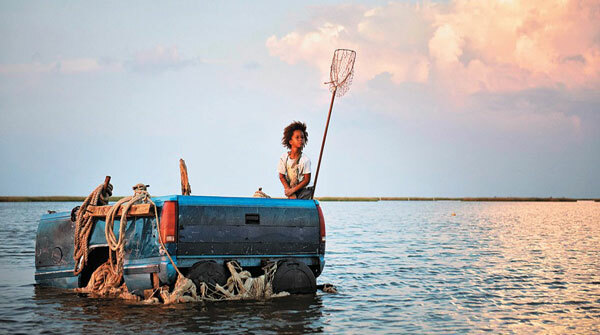 While I personally did not enjoy Beasts of the Southern Wild, its inclusion is promising that films like it can also get a foot in the door in the future. It can only serve to inspire and drive creative people to push the envelope of what is possible with the medium of film. It gives hope and promise to those who deserve exposure, but are too often denied for no other reason than previous visibility and monetary concerns. These nominations are a good start to getting the general public to try out more than just what is given to them in their local megaplex. One dreams anyway. Adam, I have a feeling these trends will continue given all the positive press the Academy has received in both examples. While there are many voters, it's bound to have a positive impact when nearly all of the acclaim is about these nominations. It's not like people are thrilled to see the obvious picks like Lincoln and Les Miserables. Of course, there's always the caveat that a lot of the nominations were predictable, so we're not there yet. Thanks! Nice work Dan, I'm with you on all of these selections. Quite frankly, it would have been an embarrassment if Phoenix didn't get a nomination, even with his disdain for the Oscars. I would rank his performance a close second behind Daniel Day-Lewis, personally. I'm still shocked that Moonrise Kingdom didn't get more than one nomination -- it could have easily crept in as that elusive tenth Best Picture nominee. Thanks Eric. While I was pulling for Moonrise Kingdom to get a nomination, it isn't a shock that it didn't make the cut. I guess there was only so much room for movies that don't feel like the typical contenders. Phoenix's nod is definitely a surprise. I agree that Day-Lewis deserves the win, but few performances were as original as Phoenix's this year. Great post, Dan! I agree with all of these even though I haven't seen some of the movies, but YEAH on Roger Deakins for Skyfall's Cinematography. Let's hope he won't remain to be the 'Susan Lucci' of this category for much longer. Ruth, I have a good feeling about Deakins' chances to win an award. The Academy likes to give career Oscars, and he's well past due. 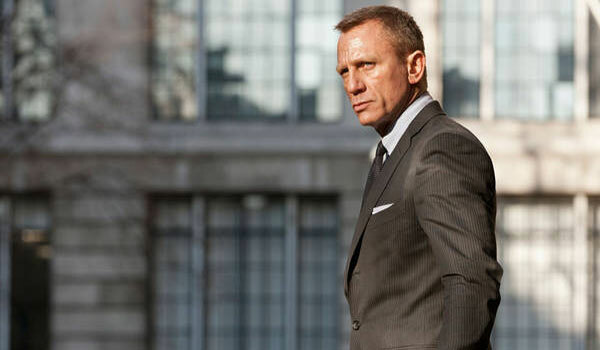 Plus, his work in Skyfall was just remarkable. Thanks! I sure hope so, Dan. I mean, I just saw The Living Daylights and though I LOVE that movie, I kept thinking what a beauty it'd have been if Deakins had shot it. Come to think of it, I'd fantasize seeing Dalton in a Bond movie like Casino Royale or Skyfall, that'd be so heavenly! Sorry Craig but Dalton is just the perfect package for me, regardless of the film's production quality. Ruth, you know that you won't get any argument from me about Dalton being such a great Bond. I think that Craig's physicality really fit with Casino Royale, where they had him crashing through walls and doing parkour. I'm not sure that Dalton could make some of those moves work, but that type of story (and Skyfall's) could have been adjusted to work for him. He just was stuck in the wrong era. Great picks. 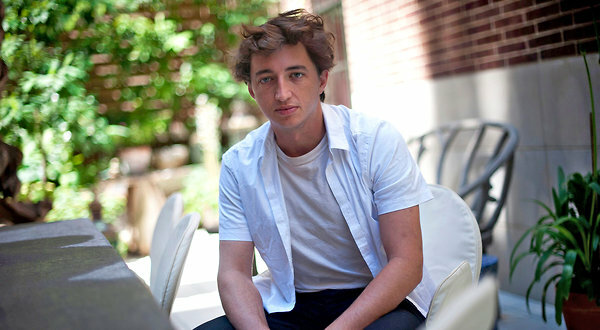 I don't necessarily think Zeitlin deserved to be nominated over his competition, but I honestly cannot complain. Dude is 30 years old and made a movie completely outside the studio system, so more power to him. 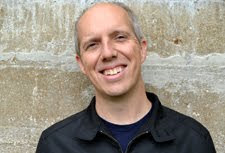 One thing though, I attended a Q&A screening of Beasts where producer Michael Gottwald spoke after, and he said the movie cost $1.5 million to make. Not that it really matters but... who knows. Alex, I haven't seen Zero Dark Thirty and some others, and I can't say for sure that Zeitlin truly does a better job. I agree that the fact that a young, unknown guy who made a really interesting movie was recognized says a lot. Checking on the budget, it does look like I pulled some incorrect information. I've tweaked it, thanks! No worries, Alex! I'd rather not have information that's incorrect out there. It's true that the budget doesn't seem clear, so I just took out the specific number.